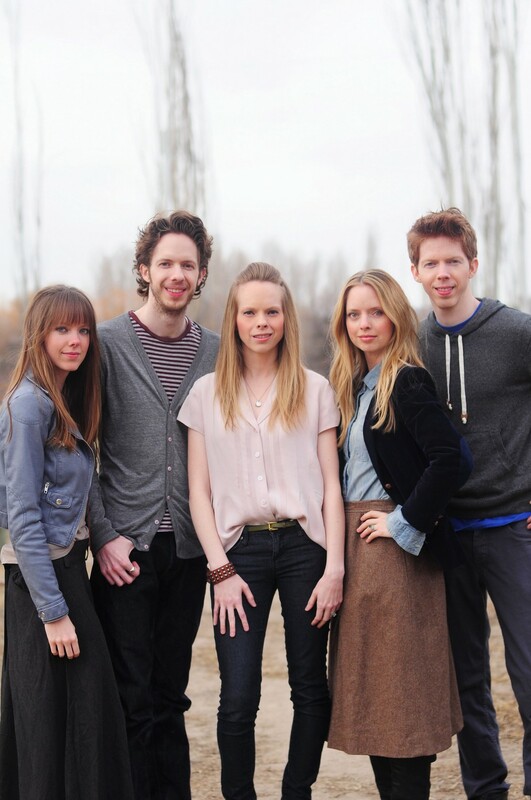 The 5 Browns are delivering on their dream to wake up classical music by introducing it to the widest, largest and most excited audience they can find. Ryan, Melody, Gregory, Deondra and Desirae all attended New York’s Juilliard School, becoming the first family of five siblings ever accepted simultaneously. The quintet enjoyed their first wave of critical attention when People magazine dubbed them the “Fab Five” at about the same time they were featured on Oprah and 60 Minutes. The 5 Browns have released 3 CDs that each went to #1 on Billboard Magazine’s Classical Album Chart. The quintet has garnered extensive coverage from media outlets ranging from The Tonight Show with Jay Leno, Good Morning America, Today, as well as The New York Times, Parade, People, the Los Angeles Times, the Sunday London Telegraph and Entertainment Weekly who called them “… thundering down on five Steinways together, they’re button-down cute and somewhat otherworldly.” The group was also featured in a PBS TV special, “The 5 Browns In Concert” which aired on PBS stations throughout the country. The 5 Browns tour extensively and have performed in numerous venues including the Grand National Theater in China, Suntory Hall in Japan and, in the United States, The Kimmel Center in Philadelphia, Symphony Hall in Chicago and Alice Tully Hall in New York City. Individually and collaboratively, they have soloed with orchestras around the world, including the National Symphony Orchestra, the Philadelphia Orchestra, the New Jersey Symphony, the San Antonio Symphony, the Dallas Symphony Orchestra and the Orchestre de chambre de Paris. The 2013/14 season has included their Carnegie Hall debut, the release of the Brown’s 6th album, The Rite of Spring: Live from Arthur Zankel Music Center, and the newest music videos premiering across the internet. The new album features a live concert recording of Igor Stravinsky’s Rite of Spring with Grammy Award winning producer, Adam Abeshouse. Debussy's Clair de lune arranged for 6 hands by Greg Anderson. Filmed above and under water by way of scuba diving at The Crater, part of the Homestead Resort in Midway, Utah, a natural hot spring. Here 3 of the 5 Browns play on 1 piano in the "moonlight." The 5 Browns tour extensively and have performed in numerous venues including the Grand National Theater in China, Suntory Hall in Japan and, in the United States, The Kimmel Center in Philadelphia, Symphony Hall in Chicago and Alice Tully Hall in New York City. Individually and collaboratively, they have soloed with orchestras around the world, including the National Symphony Orchestra, the Philadelphia Orchestra, the New Jersey Symphony, the San Antonio Symphony, the Dallas Symphony Orchestra and the Orchestre de chambre de Paris. In addition to touring, The 5 Browns are published writers. Their book, Life Between the Keys, a lighthearted collection of personal stories, was published by Phoenix Books in March 2009. A highlight for the quintet was a commissioned five-piano concerto written by famed composer Nico Muhly. Under the direction of Maestro James Conlon, the concerto premiered in 2011 at the Ravinia Festival with the Chicago Symphony Orchestra. The 2013/14 season has included their Carnegie Hall debut, the release of the Brown’s 6th album, The Rite of Spring: Live from Arthur Zankel Music Center, and the newest music videos premiering across the internet. The new album features a live concert recording of Igor Stravinsky’s Rite of Spring with Grammy Award winning producer, Adam Abeshouse.